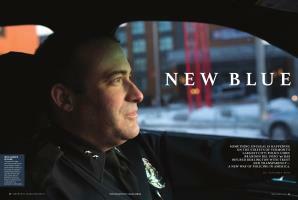 Something unusual is happening on the streets of Vermont’s largest city: Police Chief Brandon Del Pozo ’96 has infused Burlington with trust and transparency—a new way of policing in America. 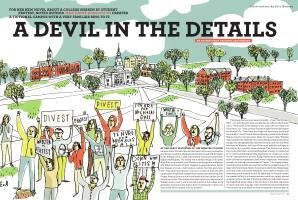 For her new novel about a college shaken by student protest, noted author Jean Hanff Korelitz ’83 created a fictional campus with a very familiar ring to it. An undocumented undergrad from Mexico shares his story—and his fears. Harvard prof and author Leah Wright Rigueur ’03 discusses the history and future of blacks and the GOP. Not even close, as the screenwriter of The River Wild recalls. Chances of peaceful coexistence increase if roomies heed these suggestions. A few tidbits about journalist, Francophile and eater A. J. Liebling ’24, one of those famous alums who never graduated.